Jimmy Cajoleas grew up in Jackson, Mississippi. He spent years traveling the country and playing music before earning his MFA from the University of Mississippi. 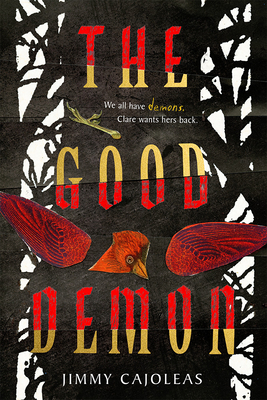 His debut YA novel, The Good Demon, received three starred reviews, from Booklist, Publishers Weekly, and Kirkus, who called it “eerie and compelling.” He lives in Brooklyn, New York. "Evocative language will grab readers by the throat and forge an unforgiving connection to Clare's despair and desperation. The gorgeous black-and-white artwork centered on mysterious symbols has a palpable mysticism about it . . . Eerie and compelling. Fast track it to the top of the TBR pile." "Cajoleas builds a wonderfully macabre mood in his southern gothic novel, filled with economic ruin, witchcraft, religious zealotry, and grotesque moments of horror . . . Thoughtful, compassionate, and subtle commentary on faith, addiction, and grief is icing on an already captivating (and chilling) cake. Readers who like their horror on the literary side will love this." "With a careful build and a terrifying first-person narration, Cajoleas (Goldeline) offers up a story interested in free will that is as gently ominous as a silent car coasting over a road on a hot, humid summer night." "This quirky tale is thought-provoking." "Cajoleas pulls off an impressive feat here, initially presenting Clare as a highly unreliable narrator and then making it very clear that it’s the people around her who are living in their twisted version of reality. . . . Blood and violence meet a crisis of identity in a compelling story for lovers of disturbing, resonant fantasy."